A recent report from the Retail Industry Leaders Association advocates a radical new way to think about how to understand and measure retail loss. Most estimates are based only upon measures of merchandise losses where the cause is unknown. Estimates usually only cover stores – losses in the supply chain or e-commerce are rarely included. There is little standardization on how it should be measured – cost or retail? Its categorization is confusing and often relies upon catch-all phrases that lack clarity. Definitional ambiguity has led to some types of loss being ‘hard baked’ into retail businesses. Since shrinkage was first used, more than a hundred years ago, retailing has gone through profound change. New technologies, formats and ways of shopping have generated new opportunities and risks. New data sources now make it possible to understand a broader range of losses across retail businesses. Encompasses not just the loss of merchandise but also cash and margin. Covers the entire retail business – physical stores, supply chain, e-commerce, and corporate activities. Recognizes the key difference between known and unknown losses. Made up of 31 categories of known losses and two categories of unknown loss. Helping to better manage retail complexity: shrinkage no longer reflects and properly conveys the scale, nature and impact of retail losses, particularly as the retail environment becomes more dynamic and fast-changing. Generating greater transparency and accountability: all forms of loss are captured, reducing opportunities for some to be hidden within the business. Creating opportunities – unlocking baked-in losses: by adopting a more systematic approach to defining “loss” under a single typology, new profit-enhancing opportunities will be created. Maximizing the potential of the loss prevention team: LP teams have developed impressive problem-solving skills. See what a difference they can make when they are given a broader palette of losses to address. Helping to make good business choices: evaluating retail investments needs high-quality data on both sales and all possible losses to avoid unprofitable cross-functional trade-offs. Total retail loss can help your business make good choices. 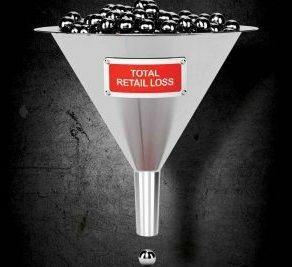 Read more about this new way of thinking about retail loss in “Beyond Shrinkage: Introducing Total Retail Loss,” which was originally published in the November-December 2016 issue of LP Magazine. This post was updated June 26, 2018.